YES I WOULD RECOMMEND HIS TOUR...ANYTHING IS WHAT YOU CHOOSE TO MAKE IT. MANY SCHEDULED ACTIVITIES AND PLENTY TIME TO DO WHAT YOU CHOOSE. MEETING PEOPLE AND LEARNING SO MUCH ABOUT THE CULTURE,THE CUSTOMS,THE FOOD..LOVED IT! Thank you for traveling with Collette to Ireland. Your feedback will be reviewed by our Air department and Executive Team. We have been in contact with the Beck's concerning their insurance claim. Excellent and well organized and paced. The whole trip was well organized and paced. Guides were excellent, both the tour coordinator and the local guides. We especially enjoyed the "2 night stays" with one free day in a place. Yes we would use Collette again. Just loved the tour, the country, the pace the daily excursions etc. It was all perfect. The experience was great. Sean was well versed in all the areas we visited. The small group was fun. Fun, delicious, met wonderful people! Collette has best travel insurance offer,.love the transportation to/from airport within 50 miles,.great mix of busy/rest times,...love the number of included meals, enjoyed the dine-around options,...hotels usually well located for self-exploring,...knowledgeable and comfortable tour managers,....Have enjoyed many Collette trips in past 10 years! Tour guide and bus driver were excellent. Visiting Christ Church in Dublin and ringing the bells. Leisure day in Kinsale. Love the small group experience! Organized, fair price. Like the small group experience. Aran Islands are so unique. Lovely countryside. Our tour guide was amazing. He added in features that were in addition to the trip described by the company. The food and accommodations were excellent. We had some bad weather that made it not worth while to see the Cliffs of Mohr but the guide had an alternative and did what he could. I think it gave a nice coverage of Ireland (Northern Ireland excluded) and I was thrilled to get to see Innishere. My husband and I were able to take some of our free time and rent bicycles to do a bit of touring on our own. Comments as noted on previous screen. Everyone from Collette that I had contact with was very helpful and anxious to be of service. I would travel with Collette again and would recommend the company to others. The itinerary was always interesting and the locations we traveled to were a nice change from the normal coach tours. Traveling with a smaller group was also a plus. We had an a wonderful experience with Collette and April was a goldmine of information and extremely knowledgable. She was entertaining and very detailed and I know we ALL had good things to say about her! The downside was not good for my husband who took the garden tour with four other people. There were NO gardens, three miles of walking to get to the boat and the tour guide had very little knowledge of the area. We were rushed to get to the boat and he lost the money that April gave him for the taxi back. He and the others felt it was a waste of a day! Such a shame!!! We absolutely loved the Stud Farm and Japanese gardens which were absolutely wonderful! Thank you for your feedback. A member of the Guest Relations Team will be reaching out to you. I thought the tour was well thought out and well laid out. The accommodations were good, especially the castle, the stops very interesting. The tour guide, Chris Thomson needed to be more of a leader getting the people going and on the bus. 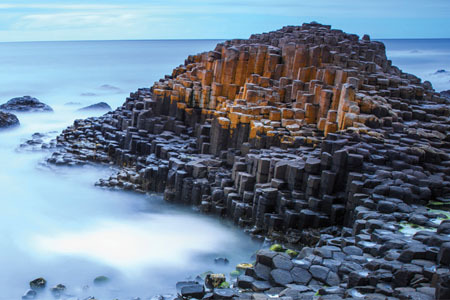 The Celtic, New Grange, and the old castles and churches. The night's stay at a B&B was a nice change. I would go with Collette again but not one that included private home. Accommodations were very nice. The pace of the trip was very relaxed. Two night in each area gives guest time to explore the area and schedule side trip if one chooses to go elsewhere and meet up with the group later. Our Tour Manager< Jeff Thomason was very friendly. He was very efficient and willing to help. I did NOT like staying in a residents house overnight. I do not like going on a trip to get away and spend my evening listening to the proprietor give their views of what the think is wrong with the US. I might agree but it is just rude to look forward to a political debate. And I paid for this? Also I am not comfortable staying in the house of strangers. This was not a bed and breakfast like I am used to. Jeff was really a great sport and up for anything. I lived the landscape. as I said I was impressed with our hotels and the boutique castle. I am a landscaper, so loved the tours of the countryside. Also enjoyed the Stud Farm visit, which I did not think I would be interested in. everything was great...from the tour leader and bus driver to the hotels and tour as a whole. Hard to say...probably seeing so much of the countryside. 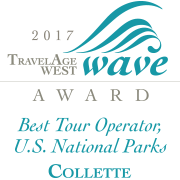 Collette's long experience in the tour business provides knowledge of what travelers want and expect. They have been first-rate dealing with life experiences when I traveled with them. Too many favorite experiences! From lodging in a B&B to a castle to first-rate hotels, then to great cities and lovely villages encompassed with storybook landscapes. Every day was a favorite! As usual, excellent accommodations, particularly Bellingham Castle. Proper balance of bus/sightseeing/free time. 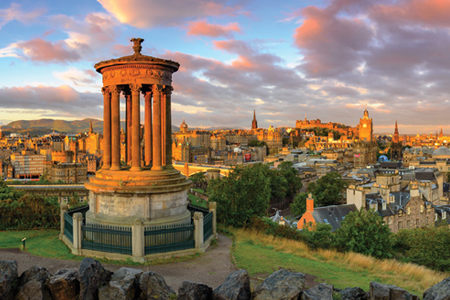 Hit tourist and many cultural highlights within the limited time frame. Could have used a bit more time available for museums in Dublin. Seeing the beauty of countryside was a confirmation of the comments received prior to trip. Would definitely make sure that other events did not conflict with seeing Rock of Cashell, as it did for us. Advertised as small group tour. That implies more personal service by the tour leader. 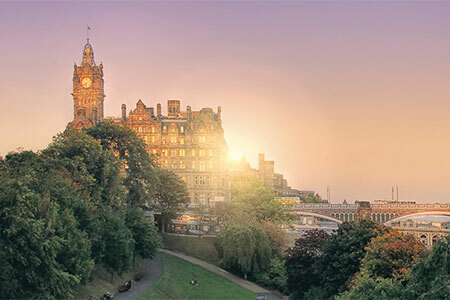 - It felt like a standard, huge bus (which is what we had for 14 participants) tour where city tours are conducted and points of interest pointed out so you can look out the window. The farm stay was nothing special. Visits to some old castles were from afar during a nearby lunch stop. The tour leader made no effort to introduce participants to each other at the "welcome dinner". Lots of city tours and standard tours of museums, Jameson whiskey, Titanic museum and Guinness beer plant and tower tasting room, but little cultural interaction and NO Irish music or dancing. Felt like the tour leader was just going through the motions. The hotel stays were reasonably high class. The best, and practically only, interactions were with other tourists and a couple of locals at places where we were left on our own. Thankfully there were only a couple stops at specialty shops or factories, and none where we were subjected to sales pitches. Thank you for sharing your feedback of this tour. We have passed along your experience to our Product Development Team. They will be reviewing this feedback and using it to enhance this tour for our future guests. Our limo pickup was flawless, wonderful service you provide. It was such an educational experience. Even though the castle was grand, I certainly enjoyed the experience, the farmhouse was just amazing. 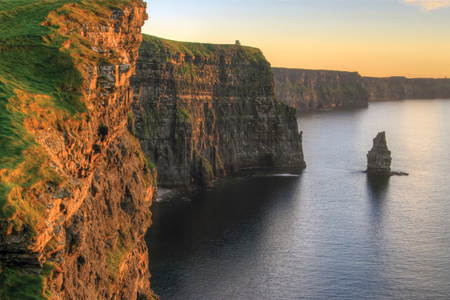 Savour a true taste of “Irish Splendour.” From the breathtaking sights of Kerry to the historic Rock of Cashel, gaze across the countryside and culture of Ireland. Air passengers will arrive into Dublin and depart from Shannon. All transfers will arrive into and depart from these airports. *Christ Church Cathedral is a working cathedral, so closure may occur unexpectedly. **Ferry crossings and overnights on the Aran Islands are subject to weather conditions. 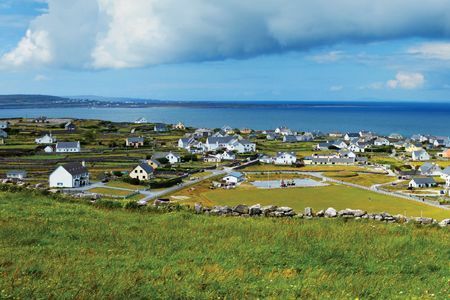 If weather conditions prohibit crossing to the Aran Islands, alternative arrangements will be made for accommodation and activities. 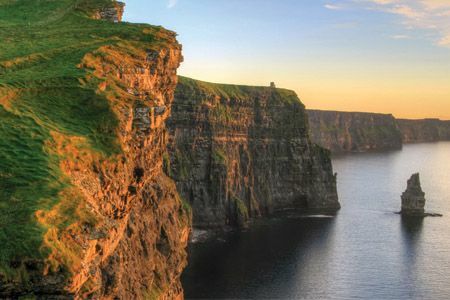 ***The overnight accommodation on Aran Island require that you bring an overnight bag only. Your large luggage will be stored on the bus in a secure location. ****Guests interested in the sunrise hike should pack a flashlight.